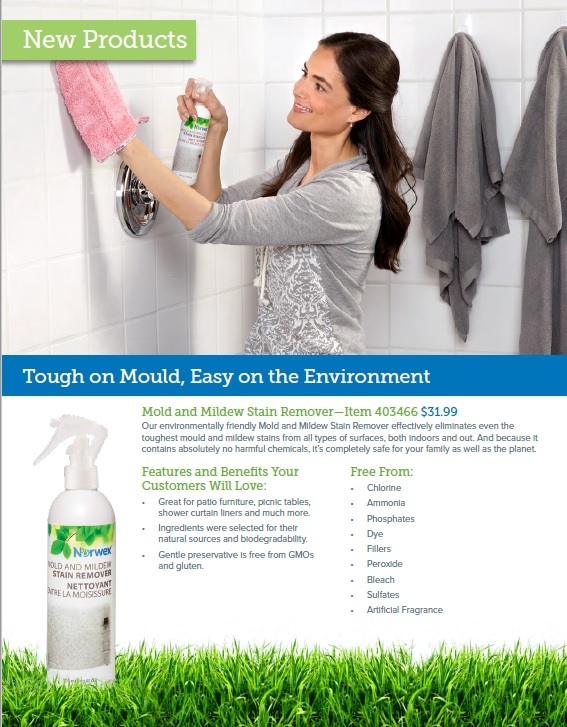 Introducing Norwex Mold & Mildew Remover! I have been waiting for Norwex to make this product for 8 years! I’m thrilled to be able to now share it with you! are not made from fossil fuels and are therefore renewable!!! I knew this product would meet a need in the market when I first saw it. My only hesitation was that it would be too hard to wring out. I’m writing this post to let everyone know that the Norwex back scrubber is really easy to wring out! You can fold it and wring it, and fold it again and wring it, and fold it a third time and wring it and it nicely collapses. When I’m done wringing it out, I just drape mine on the end of the shower rod away from the sprayer. Also, the picture doesn’t show it but one side has a rougher texture and the other side is super soft. The length makes it really easy to use as well. 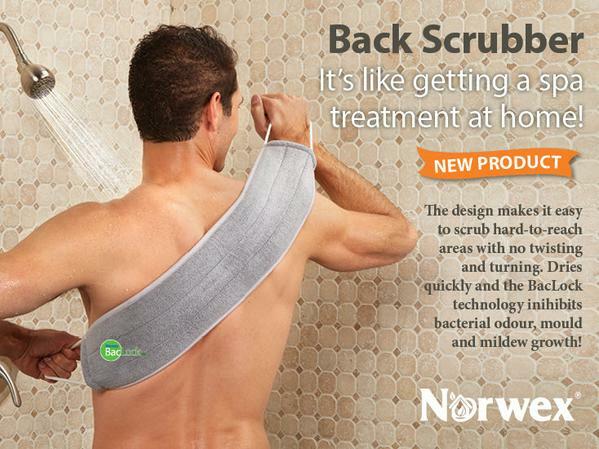 So, if you’ve been settling for washing only the part of your back you can reach, settle no more! This is a great product that you get your money’s worth out of quickly. It’s winter! Hot dry air from heaters and cold winter air can make your skin thirsty and dry! I recommend the Norwex Mediterranean Moisture Face and Neck Gel. It absorbs very quickly and is light. It is worth every penny. It is equally as fabulous in the summer! The Real Clean power of Norwex! Check out this quick video by Angie Barnes showing the Real Clean power of the Norwex Enviro Cloth! Angie uses raw chicken and protein indicator swabs to show presence and absence of protein in a before and after demo of the Norwex Enviro Cloth. Norwex has various products that come in spray bottles such as the Mattress Cleaner, Oven & Grill Cleaner, and the DeScaler. 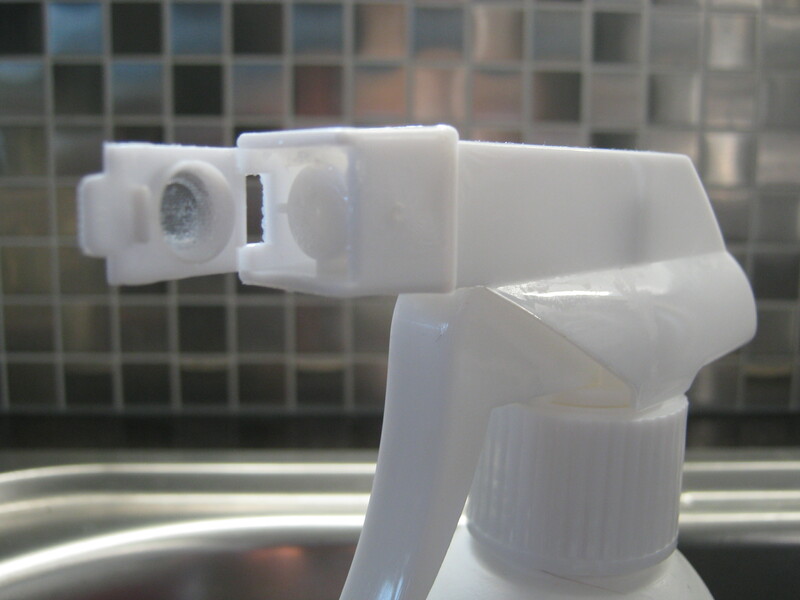 The end of the nozzle has a little door that can open and close! This is super cool because it allows you to create a “foam” with the door shut or regular “spray” with the door open. Pretty cool! The Norwex Washing Net is different that I expected. I thought it was going to be rectangular but it isn’t! It is cylindrical and it can hold a lot more than I thought. It is a good deal! They’re so cute!!! 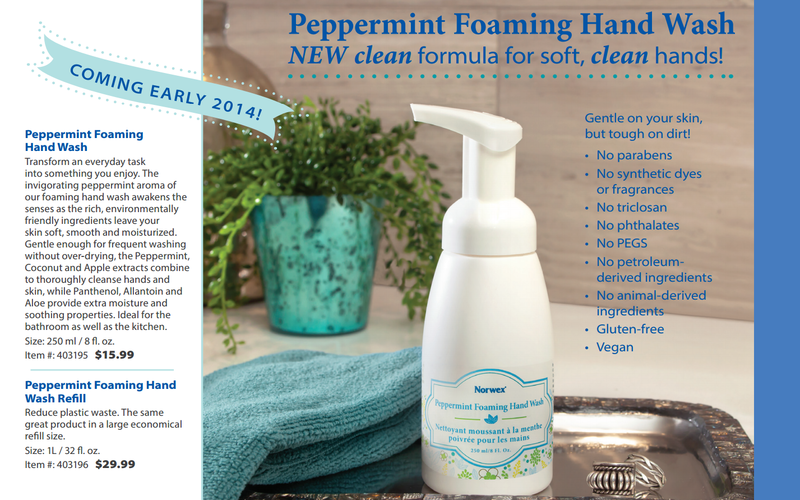 Available through consultants only (supply order) – Norwex Peppermint Foam Soap – Sample/Purse Size! They are refillable too! The regular Norwex Foam Soap is being discontinued to make room for…..